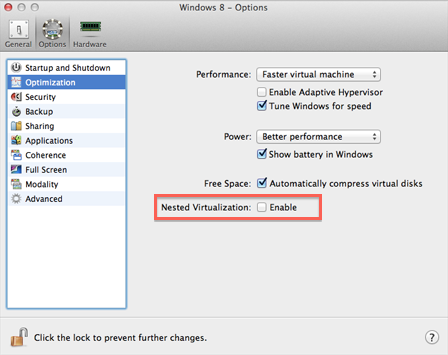 What virtualization platforms are supported as nested in Parallels Desktop for Mac? Parallels Desktop provides nested virtualization support (VT-X technology) that allows you to run Hyper-V virtual machines inside Windows 8, 10 and Windows Server 2012 virtual machines. Note: Running a virtual machine within a virtual machine may slightly slow down the hosting virtual machine performance. NOTE:Bear in mind that the virtual machine must be shutdown in order to enable Nested Virtualization support. Go to Actions menu > Configure > Hardware > CPU&Memory. Expand "Advanced Settings" and tick Enable Nested Virtualization checkbox. If you want to create or test applications for Windows Phone, first configure Windows to run Windows Phone emulator. Warning: Do not use Hyper-V virtual machines in a production environment. 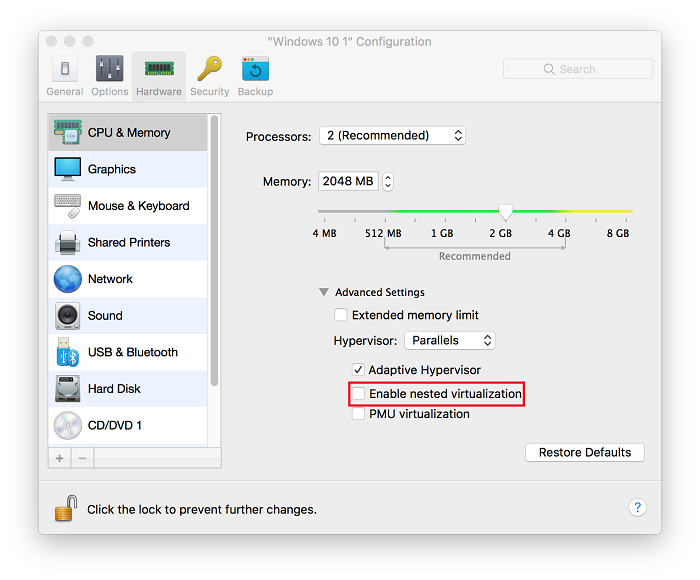 Microsoft® doesn't support nesting Hyper-V, and so such virtual machines may be unstable.